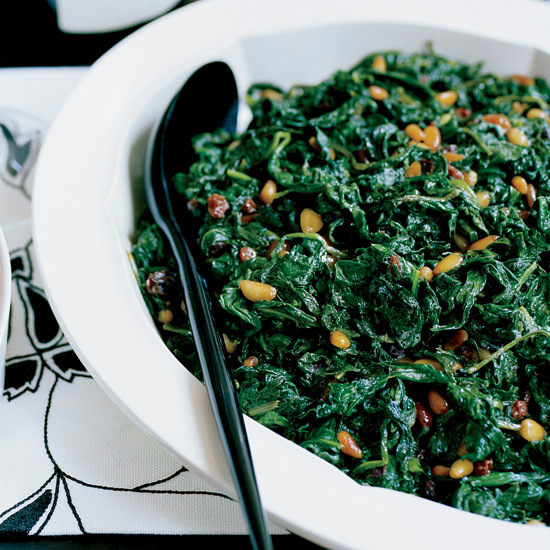 These terrific recipes include luscious creamed spinach and inventive spinach salads. 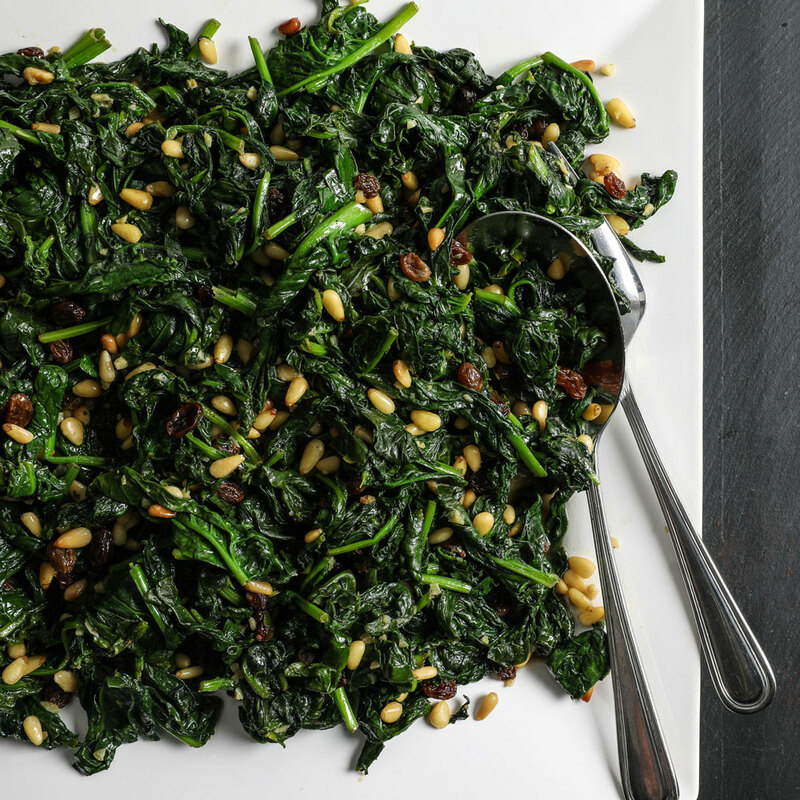 In this very simple and supertasty dish from Spanish winemaker Álvaro Palacios, curly spinach is cooked just enough to retain its great flavor when mixed with sautéed garlic, toasted pine nuts and plump raisins. 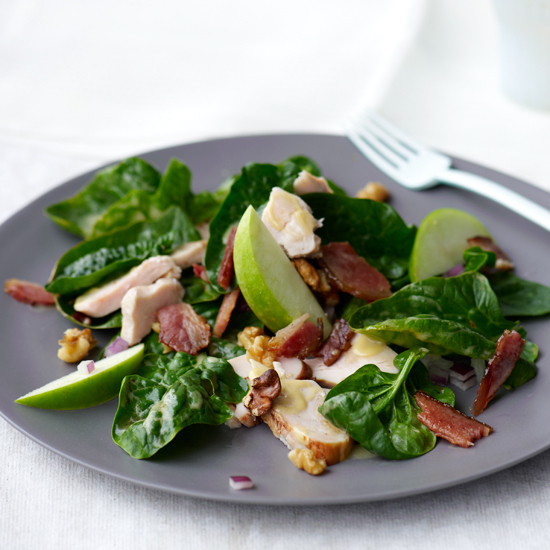 In Food & Wine test kitchen deputy editor Justin Chapple’s spinach salad, nutty roasted sunchokes gently wilt the greens and crumbled cheddar cheese, while apple slices add great tartness. 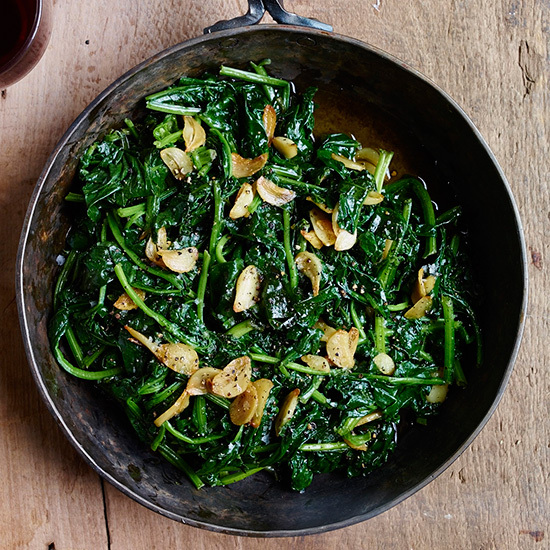 “In every little restaurant in Umbria, there are sautéed greens on the menu,” says star chef Nancy Silverton. Here, she blanches spinach, then sautés it in garlic-spiked oil until all the leaves are thoroughly coated. 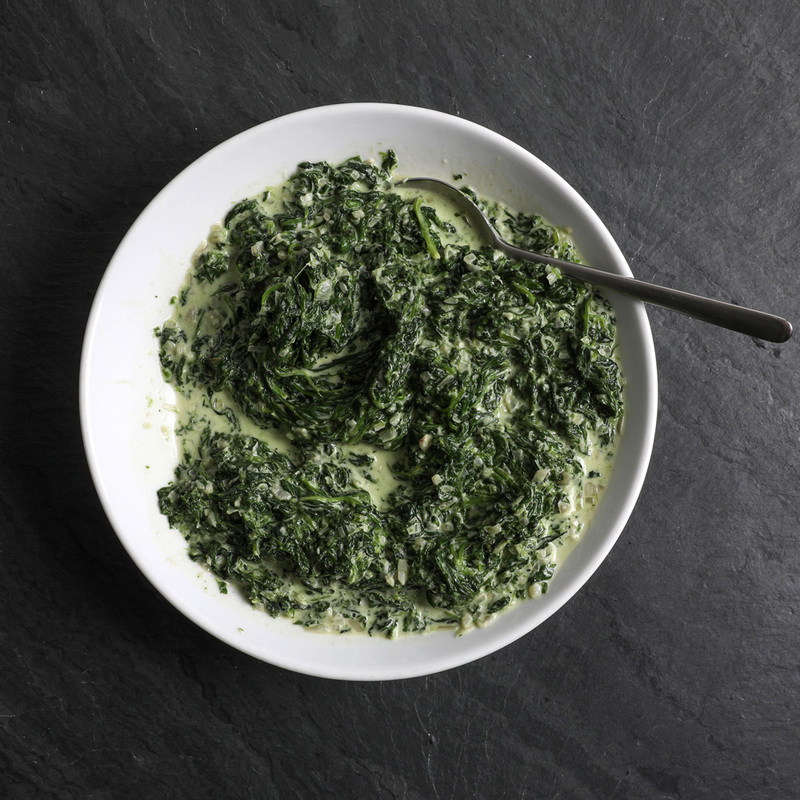 This creamed spinach is so silky and light that you won’t miss the cream. 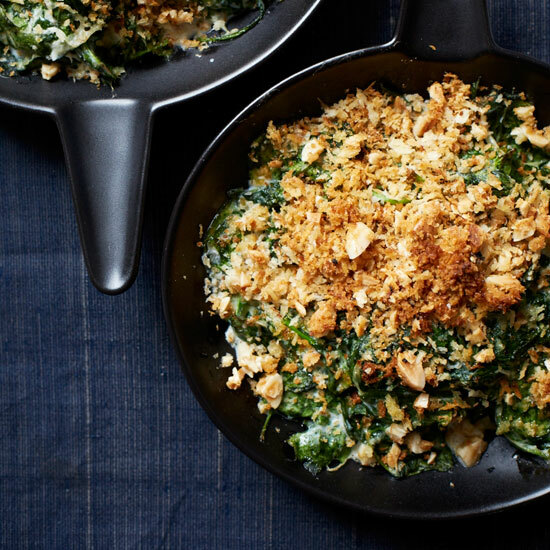 The crunchy bread crumb topping is a fantastic addition. 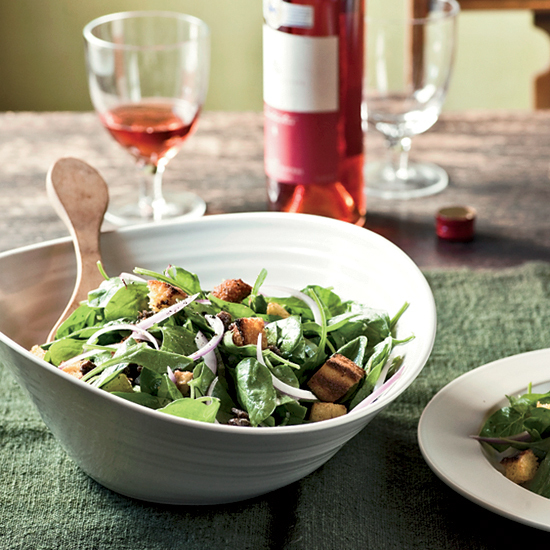 Preparing the salad dressing is a multistep process that includes letting chopped shallots soak up the flavors of mustard, thyme and vinegar before mixing them with olive oil. 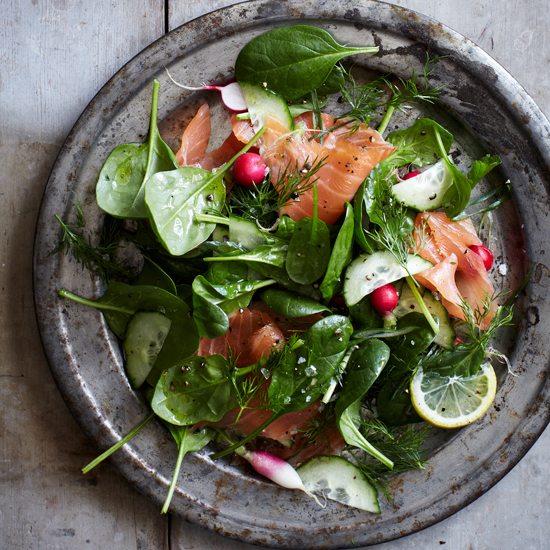 For an easier approach, start the salad dressing in a skillet (no marinating involved), then finish it in a bowl with all the other ingredients. 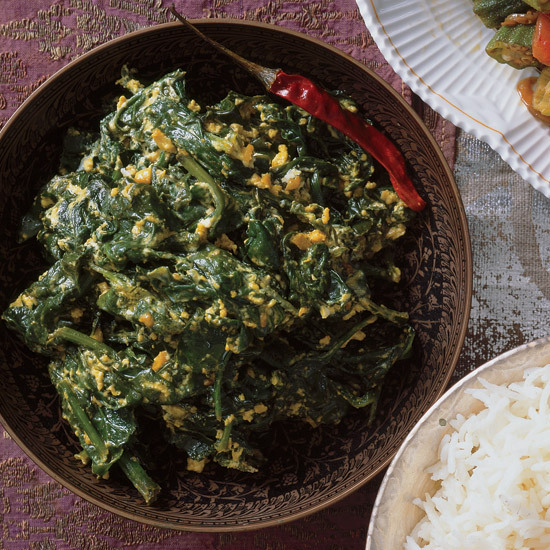 This sweet-and-sour spinach side dish gets its satisfying flavor from the combination of honey and sherry vinegar that’s drizzled on top. 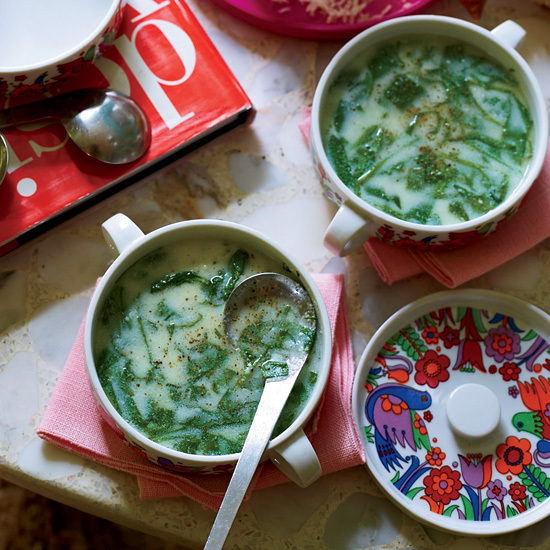 Mauricio Couly uses a mix of spinach, fava beans, green beans and a good amount of mint. 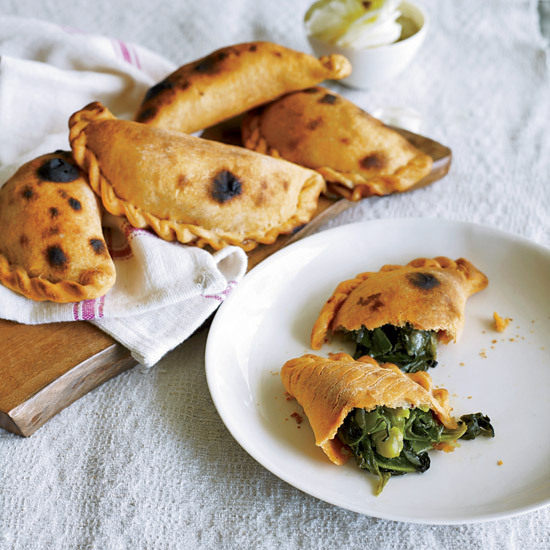 He makes his own paprika-spiced empanada dough; store-bought empanada wrappers (available in the freezer section of many supermarkets and specialty food stores) work well, too. At Bedla House, a homestay in Udaipur, husband-and-wife owners Vijay and Soban Singh Bedla invite guests into their kitchen to watch them cook. 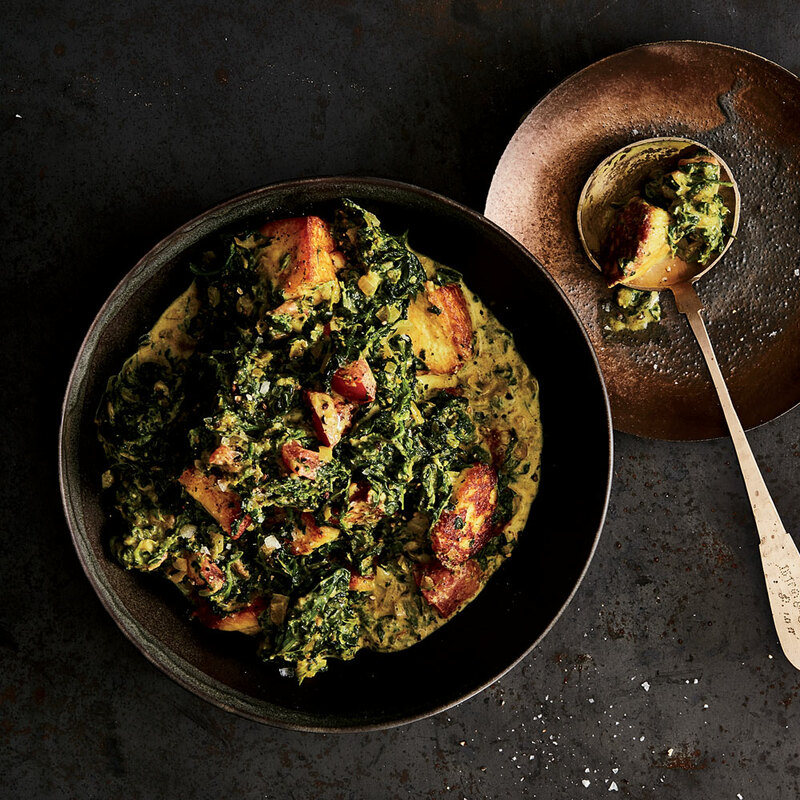 Peggy Markel loved the way Soban grabbed spices without stopping to measure quantities, adding just the right amount of coriander and turmeric to this wonderfully rich spinach dish simmered in yogurt. The combination of flavors here is pure genius. 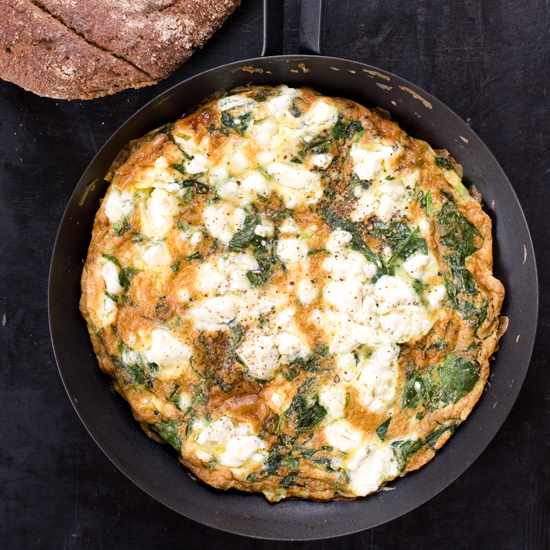 Tarragon is classic with both spinach and eggs, and a touch of sharp feta cheese accents the trio beautifully. Use these same ingredients to make superb omelets. 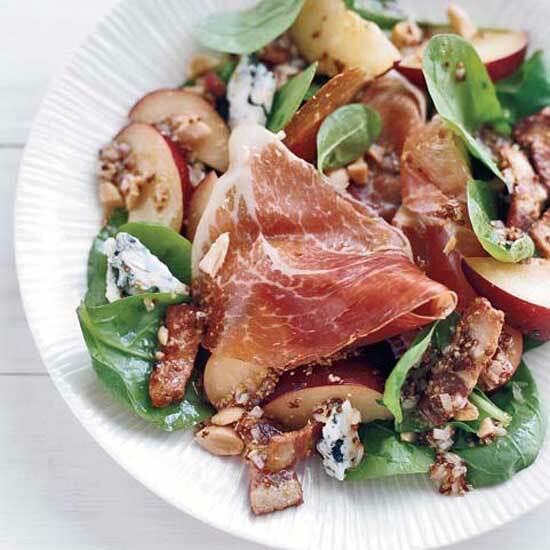 Celebrate autumn’s apple season with this delicious and satisfying salad. We call for the thick-sliced smoked chicken now available in the meat department of supermarkets. Of course, you can always use smoked turkey from the deli counter instead. If you like a more pronounced sweet-and-sour flavor, use another teaspoon of vinegar. This addictive pancake is a savory riff on the traditional Dutch baby, the sweet eggy pastry invariably dusted with confectioners’ sugar. 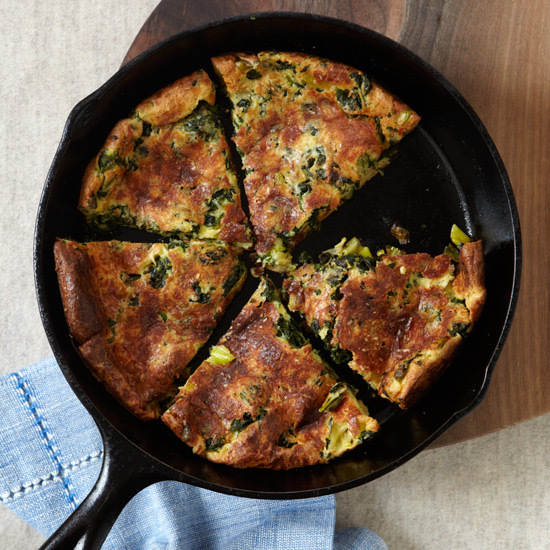 Pouring the batter into a hot skillet creates a crisp crust. 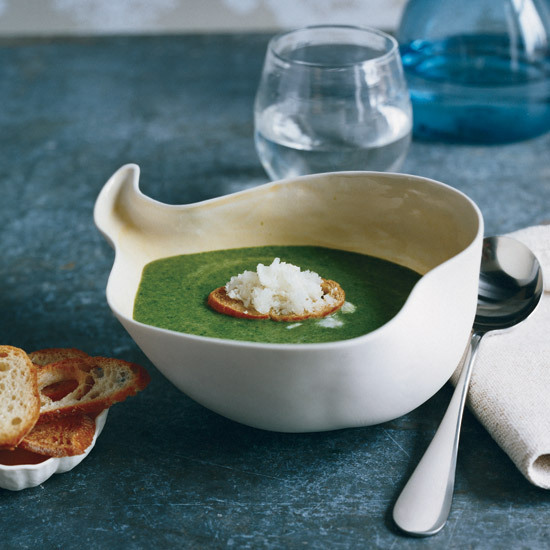 Chef Tristan Welch creates an ingenious granité by freezing horseradish with milk, scraping it into icy flakes and scooping it onto toasts to garnish a creamy nettle soup (spinach is excellent here too). 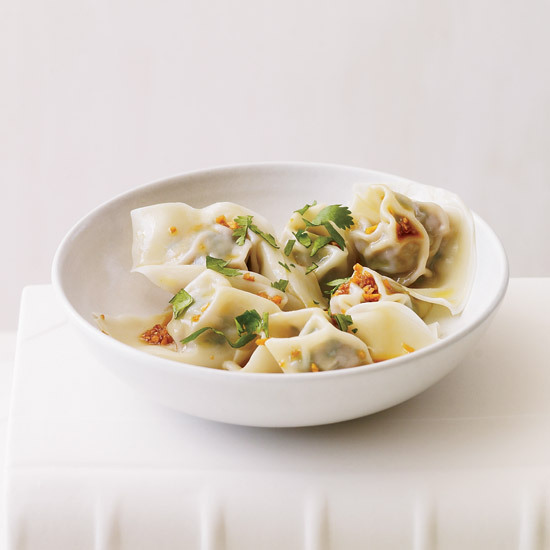 This recipe can be prepared through Step 2 and refrigerated overnight. 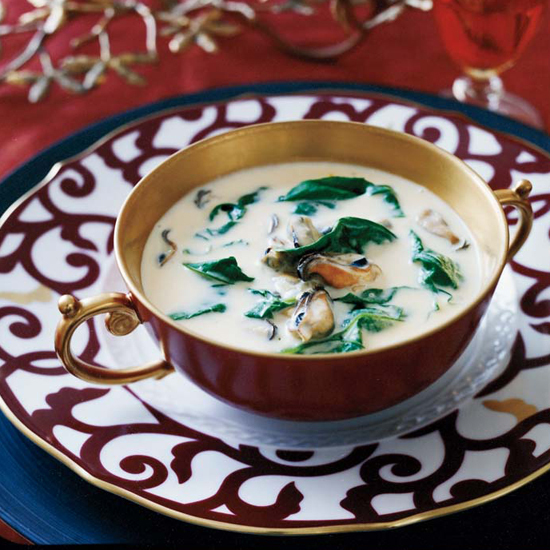 Seafood is an opulent start to a special dinner, especially in this briny bisque studded with big, plump mussels and spinach. 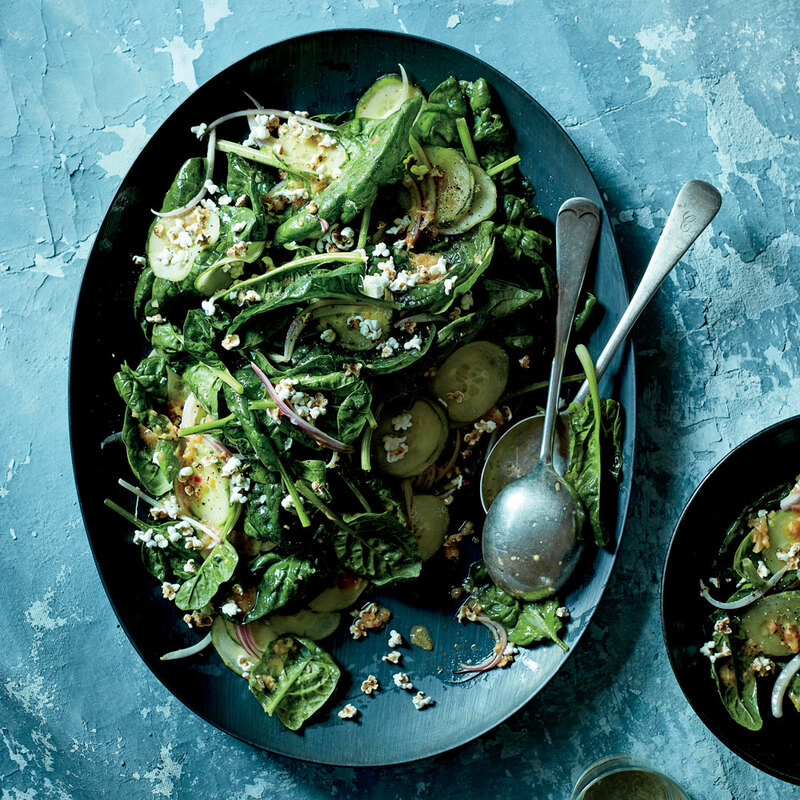 The slightly sweet dressing on this spinach salad has just a little honey in it. 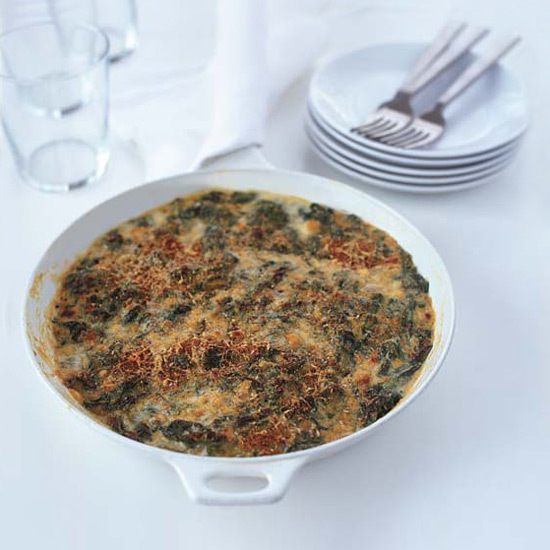 Cooked spinach can get soggy and lose flavor. 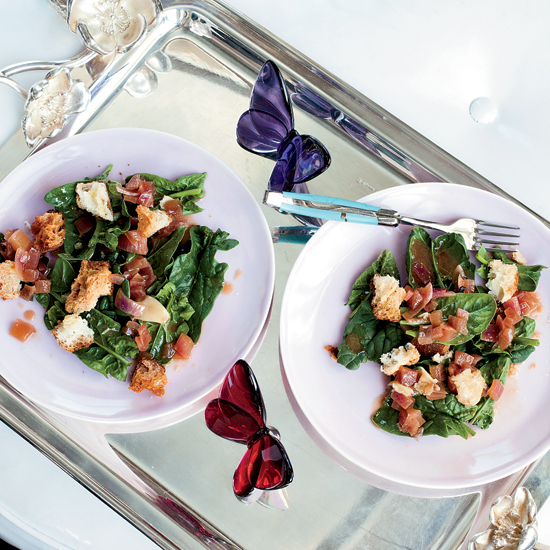 Michael Mina opts to top raw spinach with a warm dressing, so the leaves lightly wilt; croutons soak up any liquid. 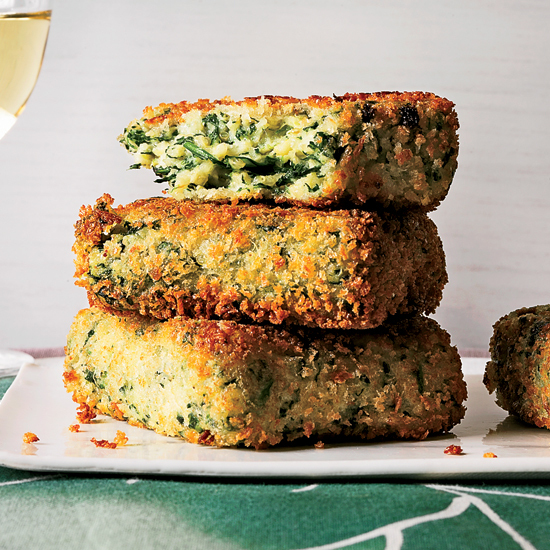 These healthy vegetarian patties are coated with panko bread crumbs so they become deliciously crispy in the skillet. 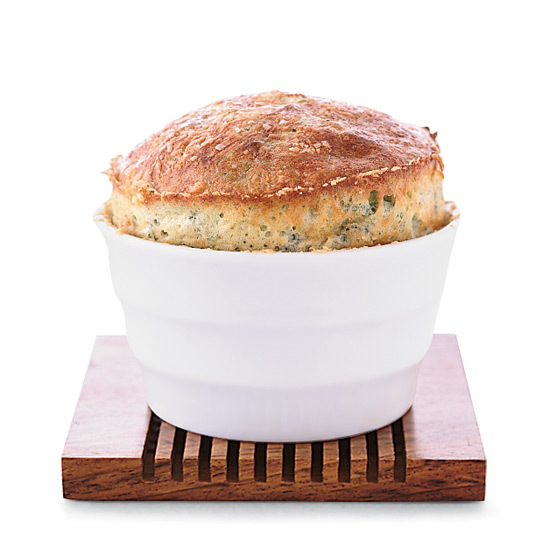 “I add quinoa to make these semolina cakes a little fluffier and healthier. 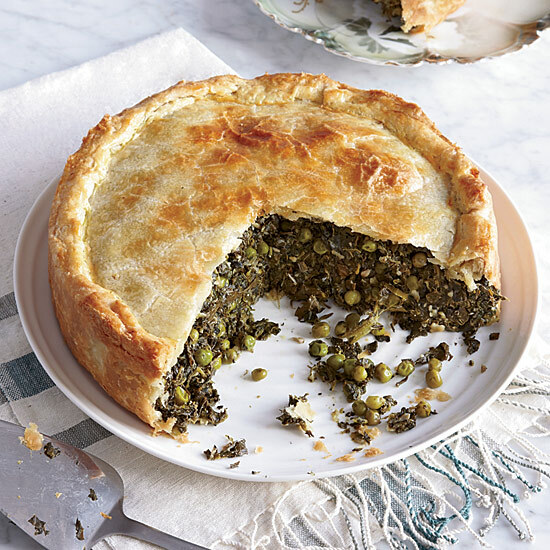 I love to serve them topped with a poached egg,” says Maria Helm Sinskey. 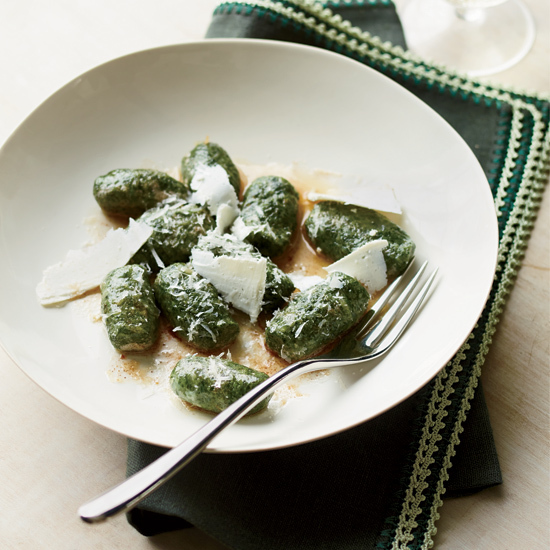 Star chef Marc Vetri makes his terrific, tender spinach gnocchi with brown butter and three types of cheese. They’re more intensely flavorful than the traditional ricotta kind. 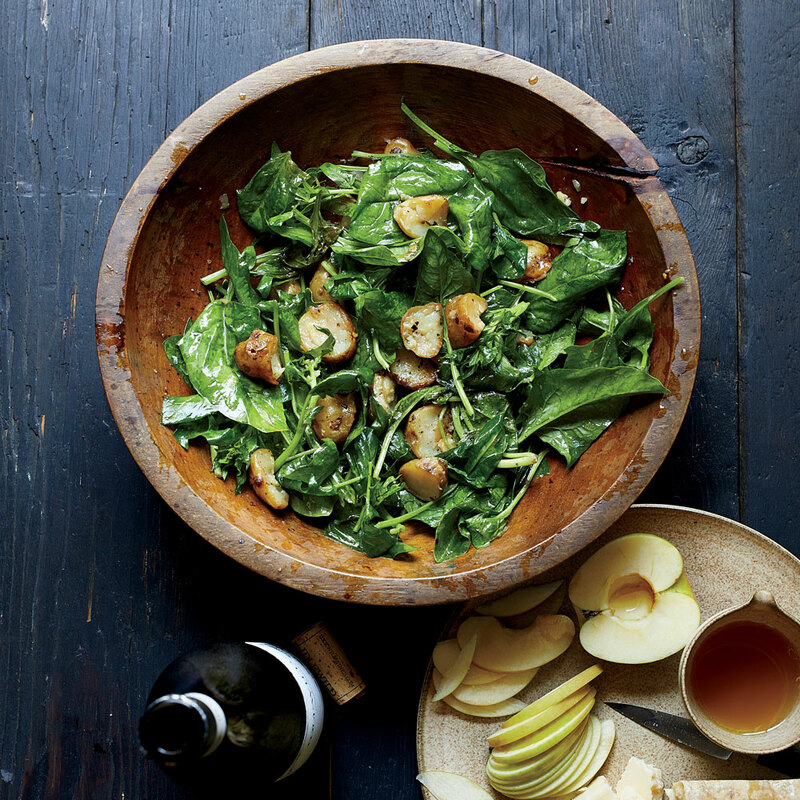 Fresh ginger warms up the soy-citrus dressing in this hearty spinach salad from New York chef JJ Johnson. He pops sorghum into fluffy kernels, just like popcorn, for an addictive crunchy garnish.